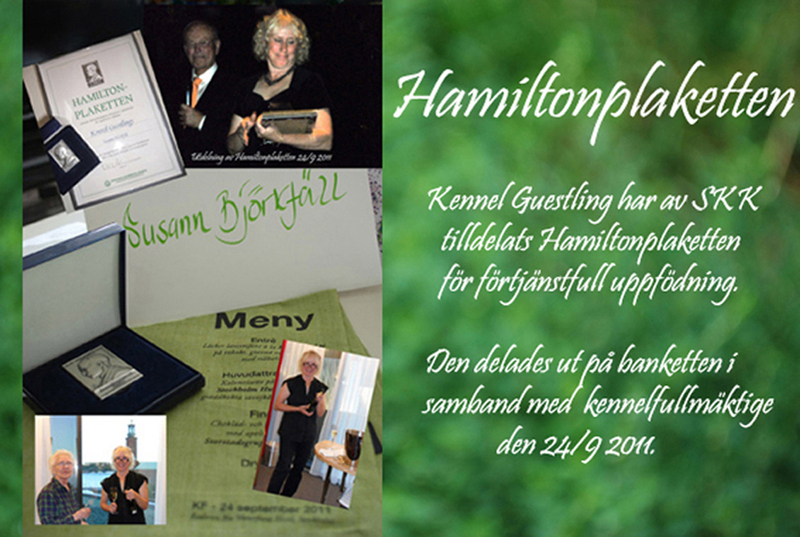 Kennel Guestling has been awarded The Swedish Kennel Club´s plaquette "Hamiltonplaketten" for meritorious breeding. It was presented at a banquet held in Stockholm Sept.24th. 2011.